Learn how unemployment insurance funds and trade unions can be beneficial for you as a graduate. You have reached or will soon reach an important milestone in your life: a degree from CBS. Perhaps you might need guidance and advice in order to go in the right direction in terms of job search and career. This information is for you who have just finished your studies and are about to start your professional career. Remember that CBS Careers has a variety of offers to help you find a job. You can make use of their services up to a year after your graduation. Learn more about our career guidance. As a recent graduate you should consider joining an unemployment insurance fund. This is not a requirement, but a membership gives you advantages such as unemployment benefits and career guidance, if you need it. Remember to register no later than 14 days after your thesis defence/last exam to be eligible for unemployment benefits one month after. If you do, you will be eligible for unemployment benefits (daily cash benefits) of DKK 14,690 per month (2015) on average, one month after, while you are unemployed and looking for jobs. If you have more than 3 months left of your studies, you can become a member for free. If you have been a member for more than a year, you are eligible for unemployment benefits the day after you have completed your studies. CBS Careers cooperates with CA a-kasse and Akademikernes A-kasse. You are not required by law to be a member of an unemployment insurance fund, but you must be a member in order to be eligible for unemployment benefits. You can be a member of an unemployment insurance fund or a trade union – or both. In Denmark, unemployment insurance is based on voluntary membership of an unemployment insurance fund. Consequently, it is up to each person to take out an insurance against unemployment. Through the membership of an unemployment insurance fund, you insure yourself against losing your income, much like you would insure yourself against theft, illness, and accidents. However, while unemployment insurance funds are privately held associations, the legislation concerning them is passed by the National Parliament. Consequently, this sets them apart from insurance companies. On that note, it is important to distinguish between a trade union and an unemployment insurance fund as they are two different types of associations. Trade unions: A trade union deals with issues concerning the negotiation of wages, contracts, and maternity leave. Or in short, they help you, when you have a job. Unemployment insurance funds: Unemployment insurance funds assist job seeking members economically during periods of unemployment. 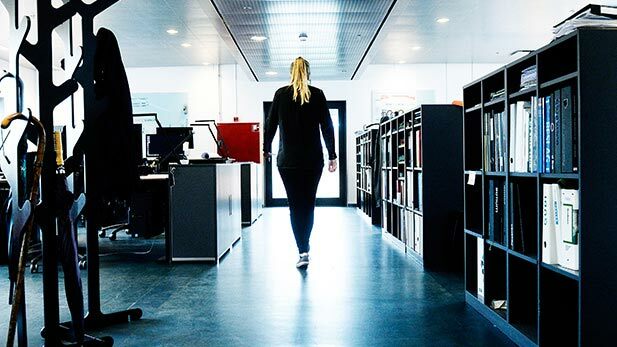 You can learn more about working in Denmark and Danish working culture by visiting Work in Denmark. The minimum requirement for membership in CA a-kasse and Akademikernes A-kasse is a bachelor’s degree or completion of a vocational training course of at least 18 months’ duration. You can benefit from free student membership, which is offered to all students attending university or other higher educational institutions. • Have a work permit in Denmark for 37 hours after you graduate. For more information about the trade union CBS collaborates with, visit Djøf’s website. When you have graduated and are on your way to your first job, you should consider becoming a member of a trade union. Trade unions can help you make sure that you get the right salary and the best work conditions. In addition to legal assistance, your trade union can help you search for a job, negotiate your salary, contracts, maternity/paternity leave, etc. CBS Careers work with Djøf. You are not required by law to be a member of a trade union.